Hi! I was wondering, since the Aputure AL-198C led light has adjustable temperature by having half 5500k and 3200k bulbs, does it a less intense light when compared to, say, the Aputure AL-160 led light which has single color temperature? 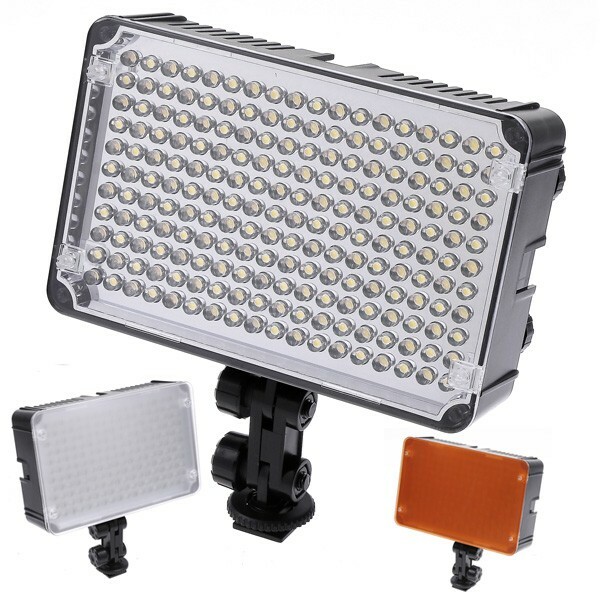 Or to put it in a different way: is the Aputure AL-198C's light intensity actually equal to 99 LEDs or the full 198 LEDs? Not 99 LEDs, of course until you turn it to extreme setting. Usually best setting with best CRI is in between. And light output is about 30% less compared to 198. Normally 198A has another advantage as it has leds with much lesser degree spread. As for your video. Mount camera on tripod, use gray or similar target, use proper aperture. As it makes very hard to understand that you are showing here at all. Also provide used shutter speed. I agree with you @Vitaliy_Kiselev. The last thing in that video to worry about is the damn light! @vicharris Hey, I got 2 of those 312s off your recommendation and love em. Was thinking about this 198C to complete a three light setup. Did I remember right that you had a 198 and used it with the 312 for a car interior shot - if so do you think it's a good match for my 312s? Thanks. @vicharris, I just posted the video b/c Vitaliy asked so chill if you don't like it. @matt_gh2, i have the same lights and did a car interior with them. in fact, we're shooting one tonight. you can match the 198C to the 312. just be careful to check for strobing at certain temperatures. @vit, 1/50, 400, 2.8 I think. Anyway, try to make better demo of issues. And also show in that ranges it happens. @matt_gh2 Nope, I don't have this one. I have 2 of the 508s. Not sure about the color temp on it but you could always correct itit with minus green if need be. I really like the 312s for car interiors though. Just wished i would have used 1/4 minus green instead of 1/8th. @vicharris Yeah, I have 1/4 minus green and like how it works with the 312s. Those 508s must be insanely powerful...cuz the 312s light the hell out of stuff. @KevinTraywick Didn't see much strobing in your video, but I guess at some temperatures it becomes very noticeable? I ask, because if so, I'll probably look for another LED light. Thanks. I received one of these lights a while back. I love it a lot, the brightness is excellent and the colour mixing works quite well. Since my GH2 rig is currently apart I am using it on a GV Infinity at the moment, pictured is it with a magic arm above a Fuji lens. It works better hanging above the wideangle lens due to the length of it and the magic arm. I can recommend the light :) Brilliant. I'm considering one or two of these lights – can someone tell me how long do they last on 6AA batteries? Thanks! It is really bad idea to use AA batteries with any lights. Get proper Sony battery. I'll be in the field for days without any access to electricity, I guess I can get 2-3 recharged sony batteries, but how much time do they last? I guess I can get 2-3 recharged sony batteries, but how much time do they last? Much more than any AAs you could find. Sony batteries are cheap. Get 5-6 of F750 type and it'll be pretty enough. Also, get some foldable solar panel and charger for batteries just in case. For a small difference in price, you can adjust the color temp, is that right? They have two versions - with 5500k and adjustable, both are high CRI. 5500k is brighter one. Yes, of course :-) For the latest CRI 95 I hear only positive feedback. Please keep in mind I am just getting into the world of lighting. I just bought one of Aputure's latest models (it's the H198C with adjustable color temperature). At first it was a little difficult to fit a Sony battery in there. It is not the most secured battery holder in the world. However, once I got used to jamming it in, I've had no problem with it staying where it is suppose to. I started lighting some things in the room. I lit a person as well to see how skin tones looked. My tests were surprising. The light had a very pleasing quality and the amount of light from that little thing was more than I was hoping for. So now I got a chance to test it against Ledzilla, a brand product by German Dedolight. It is a little spotlight, so the function is a little different. But I can still see very clearly which one has a better quality light to my eyes. The Aputure light blows the Ledzilla away. It is a remarkable difference between this 50 $ light against a 500 $ brand name. Ledzilla has this awful green tint people keep complaining about with led lights. With H198C I don't see anything awful. I see a very usable light. I have no problem giving this light a high recommendation. I'd like to mount my new Aputure H198C to a typical light stand that has a spigot. Problem is the light comes with only a hot shoe mount and a 1/4 inch mount that seems to be of no use. I can't figure out what kind of adapter I need to get it mounted into a light stand. Can anybody help?